DJ Khaled – No Brainer ft. Justin Bieber, Chance The Rapper & Quavo. 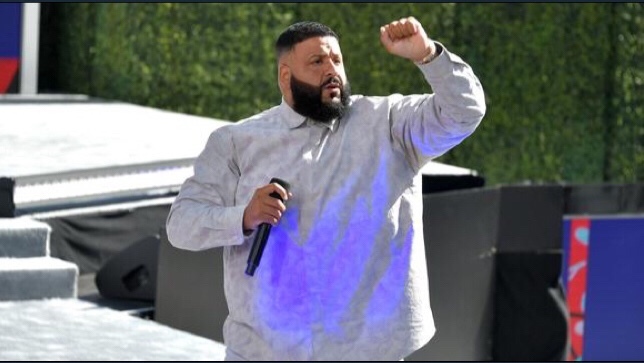 DJ Khaled finally drops a fresh record titled No Brainer. DJ Khaled is bringing the big guns on this new songle “No Brainer” featuring Chance The Rapper, Quavo and Justin Bieber. Khaled announced the single on Instagram earlier today with a short clip sharing the July 27th release date. Unfortunately, there wasn’t any short snippets of the song or the visual on the Instagram post. DJ Khaled revealed that he was shooting a music video along with Chance The Rapper, Justin Bieber and Quavo but didn’t give any indication as to when we could expect the song to drop. “No Brainer” is as we know second single off of The Father Of Asahd. Earlier in the year, Khaled teased the project with the song “Top Off” featuring Future, Beyonce and Jay-Z. Listen to DJ Khaled, Justin Bieber, Chance The Rapper and Quavo on No Brainer below.